Finding lung cancer early on can save lives, but currently there is not an approved method for screening. The percentage of early-stage lung cancers detected via CT scans, however, has risen. Computed tomography (CT) uses special x-ray equipment and computers to provide more detailed imaging compared with standard x-rays. Scientists have recently found that the proportion of patients with early-stage non-small cell lung cancer (NSCLC) who were identified because of CT scans jumped by 50 percent over a 10 year period. These patients did not have an x-ray prior to CT.
"Ask your doctor about CT screening to diagnose lung cancer." Dr. David Gerber, an oncologist and assistant professor of internal medicine at UT Southwestern Medical Center in Dallas, and his colleagues examined records of more than 400 patients with Stage I or Stage II NSCLC. The study builds upon results from the National Lung Screening Trial (NLST) released in 2010. The NLST enrolled 53,454 current or former heavy smokers from 33 sites and coordinating centers across the United States. The findings from the NLST survey revealed that participants who received low-dose CT scans had a 20 percent lower risk of dying from lung cancer than participants who received standard chest x-rays, according to the National Cancer Institute (NCI). NLST data show that 320 high-risk persons need to be screened to prevent one death from lung cancer, according to the National Comprehensive Cancer Network. The NCI, however, says that there is currently no generally accepted screening test for lung cancer. “Our results show how much more general physicians are using CT scans of the chest as an initial evaluation tool,” he said. Dr. Gerber advises physicians to be very vigilant about the radiographic findings that come up on scans of patients—no matter what they are being screened for. The NLST criteria for lung cancer screening is that patients be between the ages of 55 and 74, and they have a smoking history of at least 30 years of at least one pack a day. Dr. Gerber and his team found that almost 25 percent of patients with early-stage disease in their sample would be ineligible for screening because they are too old under this NLST criteria. The National Comprehensive Cancer Network, a not-for-profit alliance of 21 of the world’s leading cancer centers, has omitted a maximum age cut-off from their screening recommendations. Lung cancer mainly occurs in older people. About 2 out of 3 people diagnosed with lung cancer are older than 65, and fewer than 3 percent of all cases are found in people under the age of 45, according to the American Cancer Society. The average age at the time of diagnosis is about 71. About 226,000 Americans are diagnosed with lung cancer every year, according to CancerCare. The Centers for Disease Control and Prevention say that lung cancer is leading cause of cancer deaths for US men and women. More than 150,000 people die from this disease. Smoking causes 80 to 90 percent of cases of lung cancer. That number has dropped in recent years, partly because of better detection, as well as fewer people smoking. Dr. Gerber expressed concerns that CT scans also have implications regarding radiation exposure, false positive readings and cost. CT can give radiation doses that are 100 to 1,000 times greater than a chest x-ray, according to the International Atomic Energy Agency. Too much radiation exposure can actually cause cancer, so patients are advised to consult with their healthcare providers about the risks of exposure. A 2011 report published in The Lancet Oncology from the National Cancer Institute and The University of Texas MD Anderson Cancer Center in Houston found that among 647,672 adult cancer patients, about one half of 1 percent developed a second cancer years later associated with the radiation treatment of the first cancer. When it comes to cost, the average total for a CT is about $1,750, according to a 2008 study conducted by the American Hospital Directory. In addition, the National Cancer Institute says that low-dose CT screenings have false positive tests in approximately one-quarter of those screened. A false positive means that the CT scan shows an image that may be cancer but turns out not to be cancer. Patients with false positive readings and overdiagnosed cancers can go through unnecessary invasive diagnostic procedures and treatments. 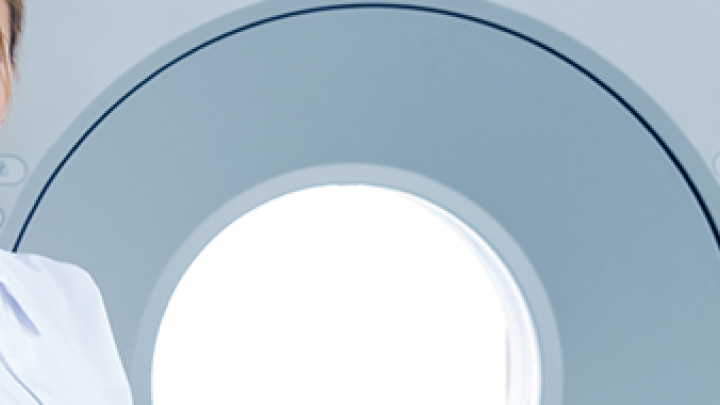 Ultimately, patients need to be able to weigh the known benefits against the known risks of CT scanning to make informed decisions regarding their health care. This study was published in the December issue of PLoS ONE, the Public Library of Science's online journal.